Did he spike Mara’s drink? Why is he in court now? Does he miss idols? What does he think of the SABC? 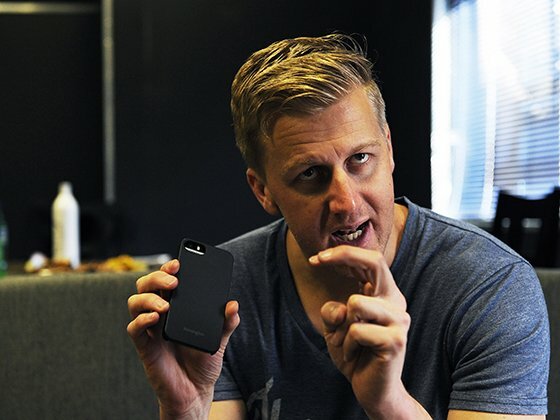 Sirshin Moodliar had the chance to chat to Gareth Cliff in an exclusive interview on Trending Tonight. Garth Cliff has been marred in controversy since he hit mainstream broadcasting, he’s loud and outspoken but does he always get it right? Sirshin Moodliar had the chance to chat to him about the newspaper that suggested he spiked his former Idols SA colleagues drink and about his huge court case against Naspers (the holding company for MNet) and everything else that has made news ala Gareth Cliff. "I would never had done such a thing, it was all a storm in a tea-cup and it come down to poor reporting.." Cliff goes on to explain to Sirshin about spiking Mara's drink. "..We were all backstage, we all had a vodka redbull, it wasn't at all controversial.."
He goes on to talk about Penny Sparrow and that infamous tweet. "..Penny Sparrow is not a critical thinker at all...if we don't let horrible racists to say what they say all we're going to do is give ourselves a false sense of security.."
On his Idols SA experience, "...I was fighting for fairness, it was a David and Goliath battle, it was really ballsy..." and "...will I miss it? I don't think so." Sirshin asked him about the SABC and does he miss it? "...would you miss being punched in the balls every day...I can't tell you how pleased that I don't work there anymore..."
Take a listen to this very frank and honest interview.